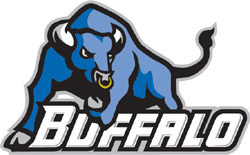 Home » Personal » University at Buffalo – BOWL GAME! I am actually an alumnus of three different universities. All undergrad. All within four years after completing high school. That’s kinda strange, but does give me a few teams to root for. One of those is playing in a bowl game today! UB actually is not only competitive this year… they’re pretty good! We’ll be rooting them on here. Also, as a little piece of trivia… way back in the spring of 1994, the UB football team roster included this name: Greg Campbell. It’s true! But I gave up my career in football to pursue a degree from Cincinnati Bible College and helping people learn to live with Jesus. That’s been an interesting ride! Not what I would have expected. But, I definitely wouldn’t change anything. No way. You’d be shattering receivers’ hands with passes launched from your laser-rocket arm.